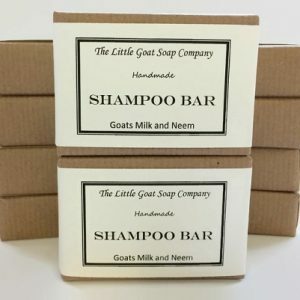 Your choice of four of our Goats Milk Soaps. These are absolutely lovely stuff! They don’t dry your skin like normal soap. For someone who has very sensitive skin, these are absolutely wonderful and they smell very nice too. Highly recommended!! 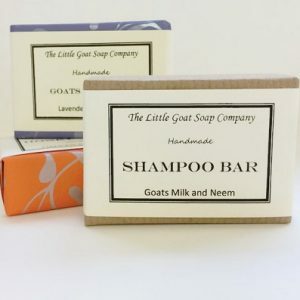 I am a big fan of your tea tree lavender oatmeal soap as well as the simple soap, having a fussy skin your soap is such a luxury to use, will recommend to all to give a try as they will keep using this product. Suffered with pompholyx eczema on my hands for 24 years due to over hand washing in my job. I have gone gone cold turkey on steroid creams for 6 months and seen a homeopath which has got rid of the pompholyx but my hands and skin remained very dry. Just happened to see this soap at a little farmers / village show read the good for eczema and thought ill add it to the list of other products I’ve bought over the years. Well I have to say I was amazed it really is fabulous the first soap I have put on my hands that does not make my hands itch as soon as I dry them. I now use it on my babies who also have very dry skin and their skin has been excellent. The lady at the show said I guarantee it will work and you’ll order more I was so sceptical……. but she was right I ordered eight bars and bath soak I will be a long standing customer. Thank you very much. My son-in-law suffers very badly with psoriasis. I bought 3 bars at the show and took them back to him in South Africa. He is already on the 2nd bar and says it is wonderful. I am now ordering more to take back for him. I bought a few bars for myself as I have a very sensitive skin. It is wonderful, with absolutely no side effects. Thank you for a wonderful product. These soaps are all wonderful. I have sensitive skin and the condition of my skin now is so much better. The soap smells fantastic, the packaging is lovely and the soap conditions my skin. These soaps are great as presents for people too – Christmas just around the corner. Fabulous! I bought the simply soap from a stall at armed forces day for my 2 year old son who suffers from really dry skin. I would just like to say how pleased I am with this product! After only using the soap twice he doesn’t feel or look dry & flaky at all! I would highly recommend to anyone! I bought a bar of lavender and bergamot soap at the stall at armed forces day as I have dry skin and small patches of excema, the soap has been brilliant, my skin didn’t itch, the patches started to get better. I have run out of the soap (about to order some more now ) . I’ve had to go back to the shower cream and soap I was using before and my skin is itchy again . 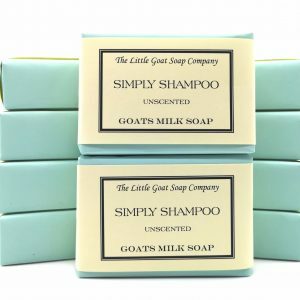 I am glad I’ve found the goats milk soap,I wasn’t sure it would be good at first, but having used it I’ve found the best thing to help the excema..and to stop itchy skin. Bought several bars of soap at a show, what an amazing product. Smells divine and skin is amazing. Thank you so much for developing a wondeful product. I purchased a bar of your lavender soap at a country show recently as I have eczema on my leg. Nothing clears it. My leg is now 97% better in such a short time. I will be placing a further order.